Since I've been fortunate enough to have Geoff's yammies on long term loan until Christmas I thought I'd take the opportunity to have my recently acquired JBLs looked at and serviced by a professional. This was mainly for a sense of "peace of mind" considering they are 35 years + old and also likely to be a long term fixture in my system. I've used Mike at MPAV in bolton for a few jobs in the past and so dropped them over to him about 3 weeks ago. After an initial inspection he quickly advised that one of the mid range drivers had seen better days and before doing much else I'd need to source a replacement for the pair of them ideally. Checking online I was presented with 2 options, find a used original JBL driver (EL-5) or look at one of the new Chinese produced like for like replacements. Fortunately for me eBay threw up a very nice set of original mid drivers located in the UK at a surprisingly reasonable cost. Although they were a very slightly different model designation (EL5-9 rather than the original EL5-10s that mine came with) reading up on line showed them to be near identical as close as I was likely to get unless I cast my net further afield towards the USA. In short I snapped them up and dispatched them to Mike for checking and fitting. 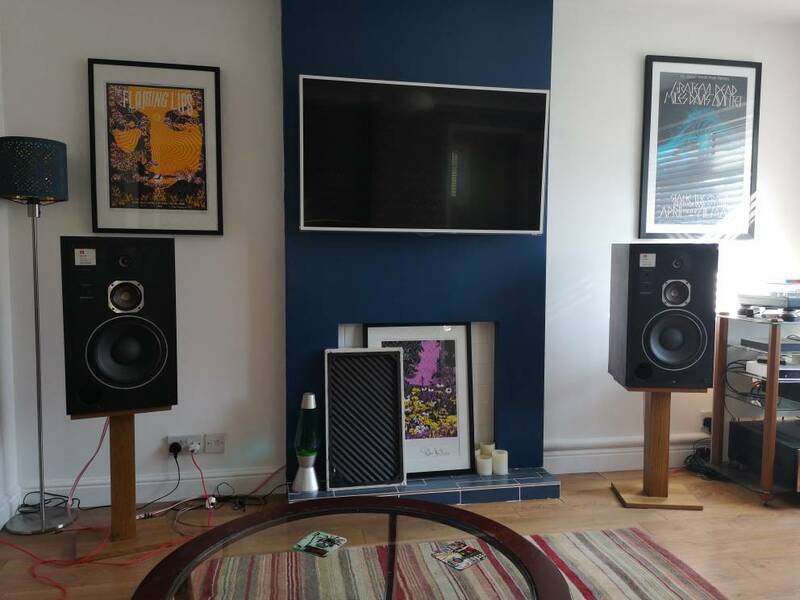 Mike tested the new drivers and confirmed they were in great all round condition before fitting them. He then set about stripping the crossovers and replacing the old caps with new equivalents, after testing he advised that some of the old caps were significantly out of tolerance. He also fitted a set of better quality binding posts for me as well. Yesterday I got them back home and spent the afternoon listening to them. Initial thoughts are that the sound is considerably tighter, and the midrange sounds far more detailed. Before they had what I can only describe as a woolyness to the midrange (I guess in part to do with the damaged mid driver) which has now been removed. It's early doors but I'm already very pleased with the outcome so far and cant wait to get some more tunes through them, roll on the weekend! Last edited by Zoidburg; 11-10-2018 at 12:23. Yes he's a nice down to earth bloke, I wouldn't hesitate to recommend him either. Playing around with speakers tonight.